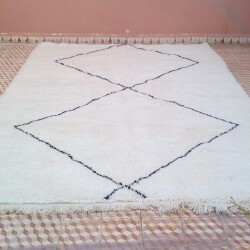 Berber Beni Ouarain rug 210 x 300 cm hand made in Morocco. 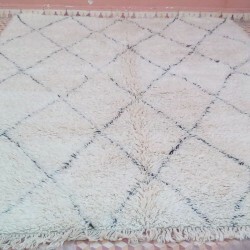 The Beni Ouarain tribes usually make rugs with a natural wool of sheep. 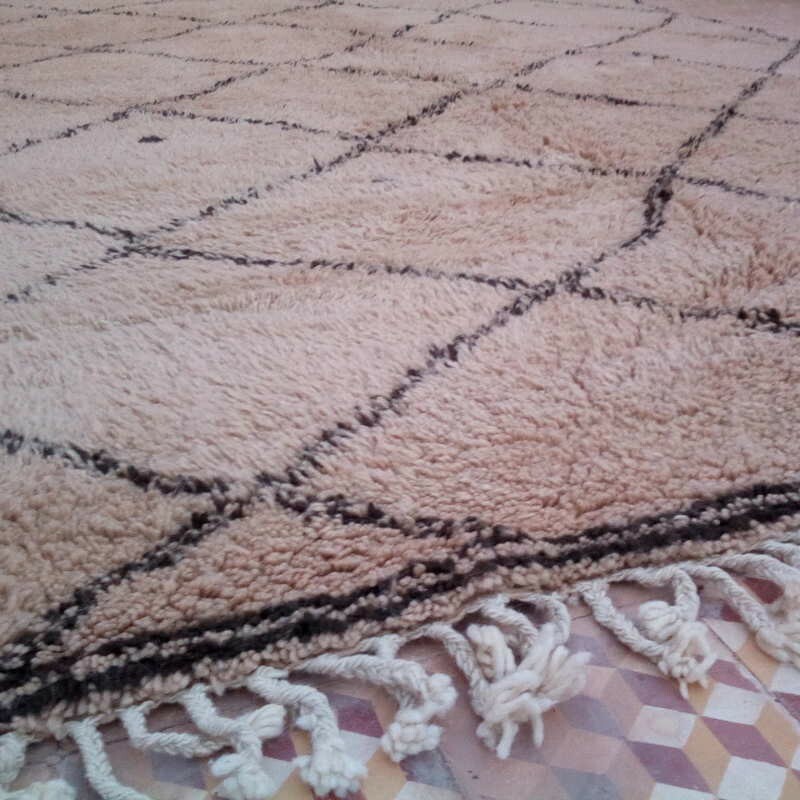 The color of the wool is naturally ivory and dark brown. 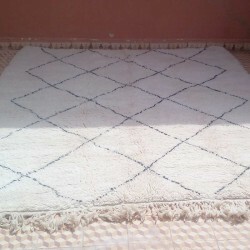 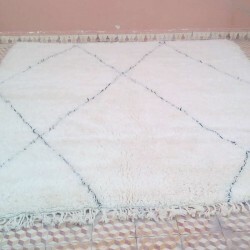 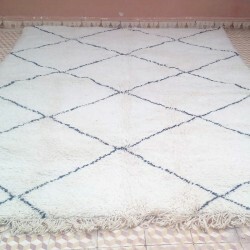 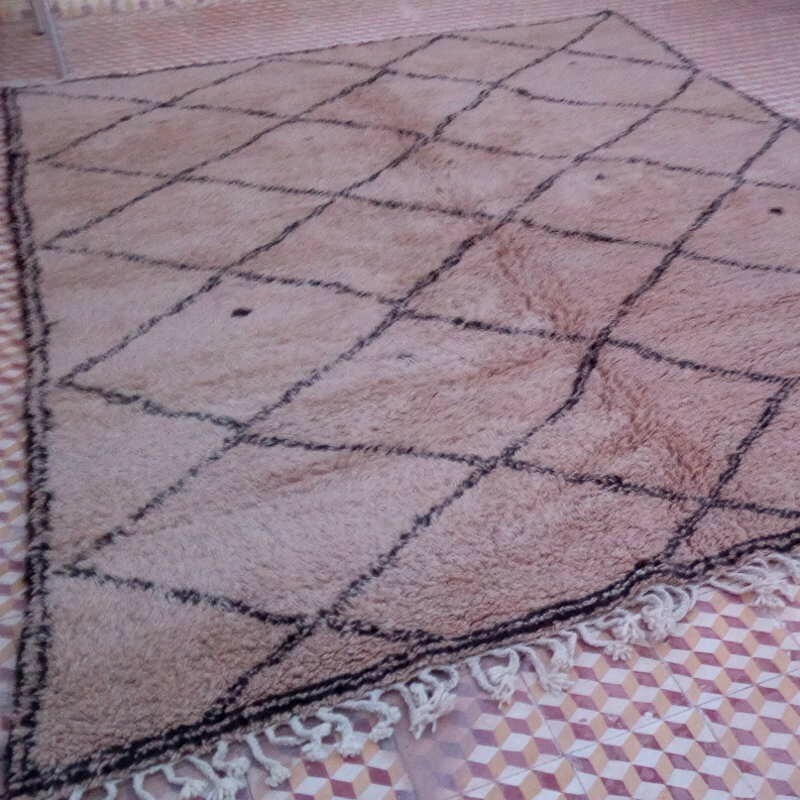 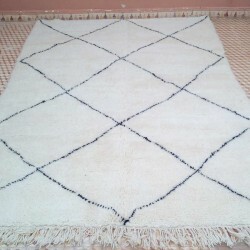 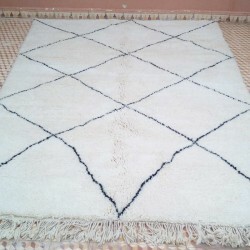 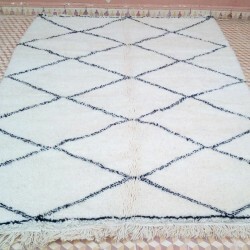 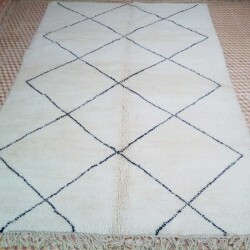 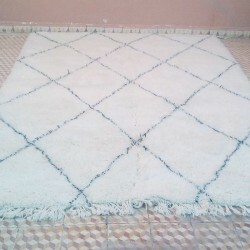 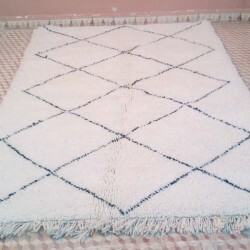 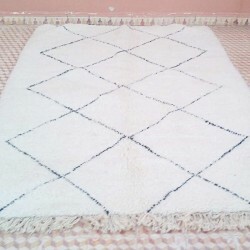 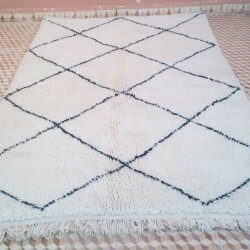 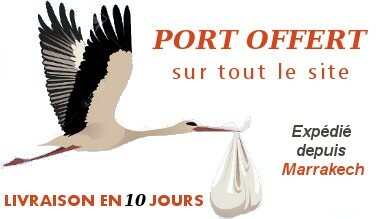 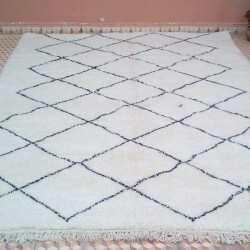 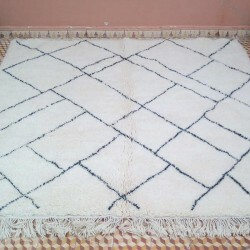 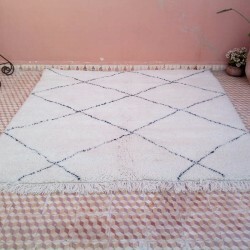 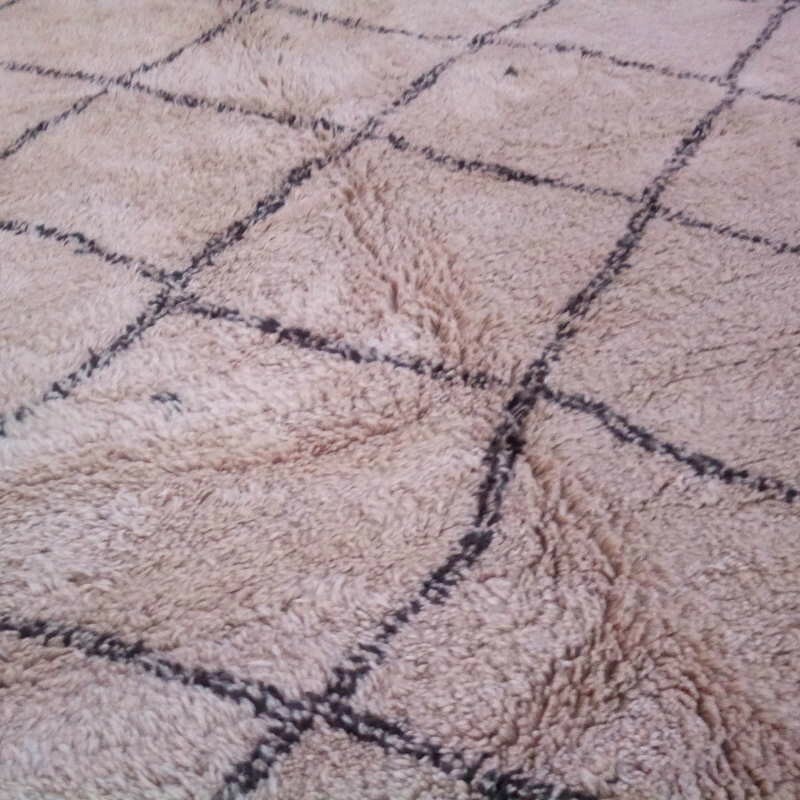 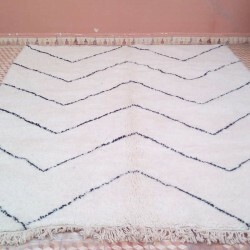 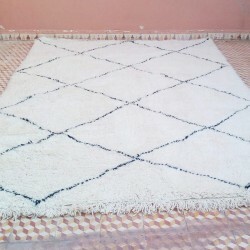 A traditional Beni Ouarain rug will never be black & white. 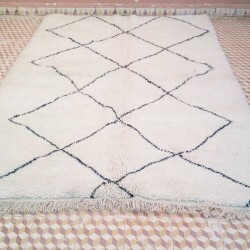 Sometimes, we find a such Berber rug with natural beige and brown wool colours.